Crumbs: Is the cupcake bubble bursting? Just days after a massive loan default and shutting all its stores, Crumbs Bake Shops is getting another shot at life. On Friday, an investment group offered to buy the Crumbs cupcake business as part of its bankruptcy filing. 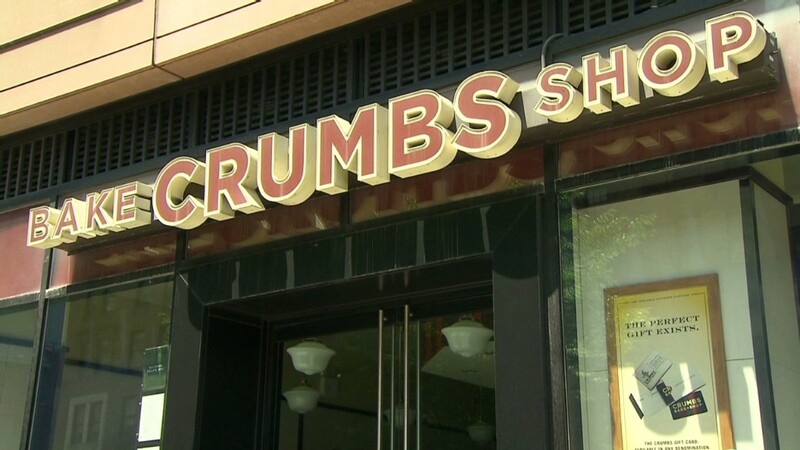 The new venture is looking at Crumbs' business strategy, and said it will consider reopening some locations that were closed or opening new ones. Crumbs CEO Edward M. Slezak said the financing from the deal will enable it to pursue a franchise model. The deal is subject to approval by the bankruptcy court. The joint venture was created by Marcus Lemonis LLC and Fischer Enterprises, L.L.C. Lemonis is the host of the CNBC show, "The Profit." Fischer has investments in other food brands, including Dippin' Dots ice cream. Crumbs (CRMB) closed all of its stores Monday, and has been struggling for some time. It began closing outlets in 2013 amid steep losses. At the end of the first quarter this year, it had 65 locations in 12 states. Crumbs launched with a store on Manhattan's Upper West Side in 2003, and had 65 stores in 12 states and DC at the end of first quarter of this year. The stock, which traded for more than $10 in 2011, closed Friday at $0.65 a share.